Blue traffic lines were installed this morning, in front of Franklin Police Headquarters, in recognition of National Police Week. Over the next week, we remember all of the police officers who have been killed while serving America’s communities. As you drive by Franklin Police Headquarters, take a moment to think about the brave men and women who work here, serving Franklin with excellence and protecting this incredible community. whose work made this possible. Posted in: Crime Stoppers, Media Release, Put A Name with This Face, Reward, WANTED. Tagged: Baynes. 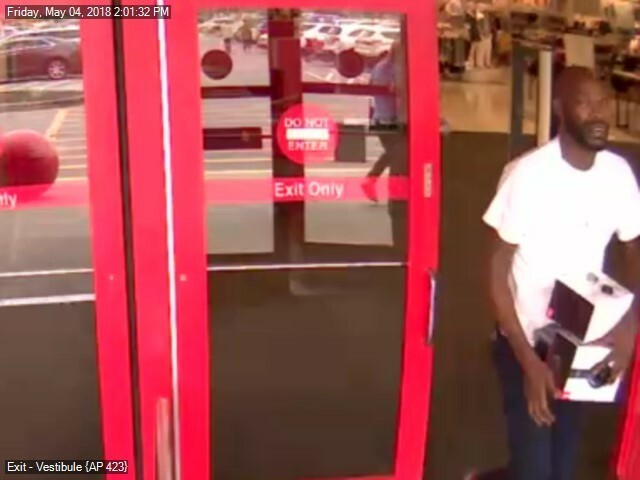 Police in Franklin want to identify this thief, wanted for stealing an iPhone on display at the Mallory Ln. Sam’s Club on April 18. Recognize him? Cash in by calling Crime Stoppers: (615) 794-4000. You can also submit an anonymous eTip. Posted in: Crime Stoppers, Media Release, Put A Name with This Face, Reward, WANTED. Tagged: Rich. 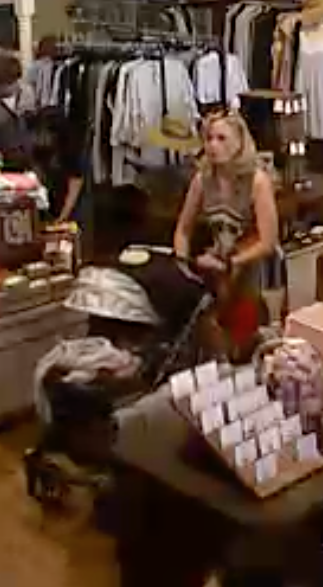 Franklin Police want to identify a shoplifter who concealed about $800 in leather wallets, handbags and other merchandise from a Main Street shop in her baby’s stroller. It happened at White’s Mercantile Sunday afternoon, May 6, at about 1:00 pm. A Crime Stoppers reward is being offered for information that leads to her arrest. Posted in: Crime Stoppers, Media Release, Reward, Update. Tagged: LeCates. Tips continue to pour in about the hit-and-run driver who ran over a seven-year-old girl, Saturday. The little girl was on a walk with her mom on Alexander Drive near Draper Court just after 7 pm. Her mom was pushing a second child in a stroller when the driver ran over her daughter. During this horrifying ordeal, the mother and her second child narrowly escaped being injured after the driver also struck and toppled the stroller with the second child inside. The Franklin second-grader who was run over is now recovering at home with bruises, scrapes, and stitches. The Franklin Police Department will continue our tireless pursuit of this at-large driver. Every tip that comes in brings us one step closer. 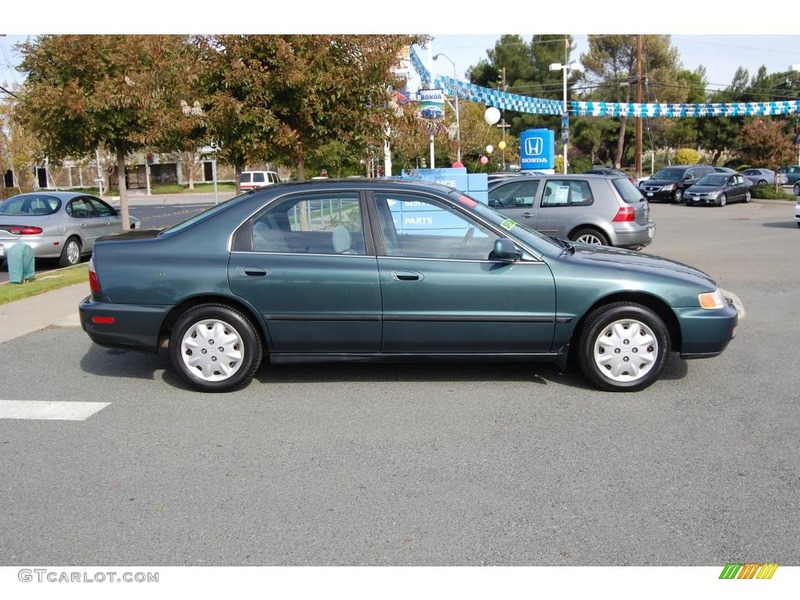 The suspect vehicle is an older model, dark green 4-door similar to the 1997 Honda Accord LX seen here. Residents who live in the area of the crash are asked to check their home surveillance cameras for anything that could help lead police to the driver. A cash reward of up to $1,000 is being offered for information in this case. In 1962, President Kennedy proclaimed May 15 as National Peace Officers Memorial Day. National Police Week, established by a joint resolution of Congress, is set aside to recognize the every-day sacrifices that police officers make. National Police Week 2018 is May 13 – May 19. In preparation for National Police Week, police officers from across Williamson County and police supporters will gather at 6:00 pm on May 7 to honor those who lost their lives while protecting and serving Williamson County residents. 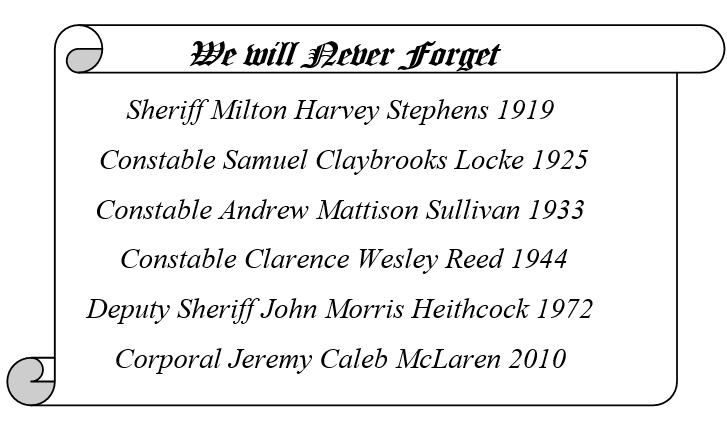 Six greater Williamson County law enforcement officers have been killed in the line of duty: Monday’s Fraternal Order of Police memorial will honor each of them, as well as the 128 U.S. police officers killed in the line of duty in 2017, and the 48 who have died while protecting our communities, so far this year. The May 7 service will begin at 6:00 pm at the Franklin Theatre, 419 Main Street. A foot procession and concluding ceremony will follow at the Police Memorial Monument on the Square with a 21-Gun Salute and Taps. The public is encouraged to attend. Posted in: Crime Stoppers, Media Release, Reward. Tagged: LeCates. Franklin Police are seeking information about a hit-and-run driver who ran a seven-year-old girl over. The little girl was on a walk with her mom on Alexander Drive near Draper Court, just after 7 pm. The little girl’s mom was pushing a stroller with another child when the driver struck and then ran over her daughter before fleeing from the scene. The victim is a Franklin second-grader. She was transported to the hospital by ambulance with serious injuries. The at-large suspect vehicle is an older model dark green 4-door, similar to the 1997 Honda Accord LX seen here. Residents who live in the area of the crash are asked to check their home surveillance cameras for anything that could help lead police to the driver. A cash reward of up to $1,000 is being offered for information in this case.